Richard Smith is a native Atlantan and has practiced law in the area since 1974. Richard graduated from Georgia State University with a BBA in Finance and Emory University School of Law with a JD. He began his legal career as a title examiner in the late 1960’s with the Decatur Law Firm of McCurdy, Candler and Harris. In 1970 Richard joined the International Law Firm of Hansell, Post, Brandon and Dorsey and was named Partner in 1978. He worked full time while attaining both his undergraduate degree and his law degree and raising a young family, before starting his own firm in 1981. Richard concentrates his practice on residential real estate transactions. He has an extensive background in acquisition, development, construction, title issues and final purchase/refinance residential and commercial real estate transactions as well as strategic business development, business/legal negotiations, deal making and other complex real estate and transactional law matters. Richard was a founding member of the Georgia Real Estate Closing Attorneys Association and Past President of the Real Estate Section of the Atlanta Bar Association. 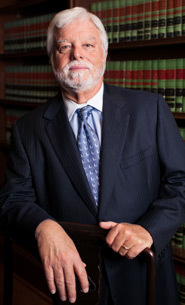 He has lived and practiced law in the Dunwoody/Sandy Springs area since 1976. Richard and his wife Sherri enjoy traveling, scuba diving and fine wine. Richard is head of the Atlanta chapter of the Chaine de Rotisseurs food and wine society. A strong supporter of Angel Flight, Richard volunteers his time and airplane, flying patients and their families to receive needed healthcare services. Present: Senior Partner, Smith Cavin & Corbin, L.L.C. 1981-2013: Managing Partner, Smith Ronick & Corbin, L.L.C.